Where do i even start?…… I mean, this is probably the craziest, weirdest, most outrageous film i have seen in quite a while.. I have never seen anything even remotely like this film and i guarantee you haven’t either. I can’t compare it to anything else because nothing i can think of is even sort of like this movie. The fact that someone approved the making of this film astounds me, and what is even more amazing is that whoever the guy who thought of this concept is has to be one of the biggest geniuses on the planet. So essentially Hank is stranded on an island and about to end his life when he comes across the dead, farting body of Manny who gives him a new goal in life. Who even knew that fart jokes could still be funny…. i didn’t know one fart joke could hold up let alone an entire film full of them. I would constantly finding myself laughing along with the rest of the audience, then realise how downright immature it is, and then just continue to laugh at the next one. The humour in this film is just very silly and outrageous and it doesn’t take reality into account at all, it just goes for it and boy does it succeed. Yes it was hilarious, and yes you will leave the theatre not believing what you just witnessed, but there are actually some emotional and dramatic elements that were both quite light and also very hard hitting. It deals with themes involving family, love and other similar things, and they have a presence throughout the film but never take over the main ridiculous comedic elements. There were some moments where the more serious tones felt off for a minute or two but other than that they were intertwined very well. These scenes were delivered very well by both Paul Dano and i guess Daniel Radcliffe who definitely killed it in this film. Paul Dano we know is one of the most versatile actors today who kills it in a variety of roles, this included. So it is no surprise in this film where he delivers time after time with the comedy and shows of his dramatic acting chops that make for many highlights. And Daniel Radcliffe, after this film i would say has successfully separated himself from the Harry Potter character to the point where it is not the first thing that pops into my mind, and a lot of his other roles are just as familiar. 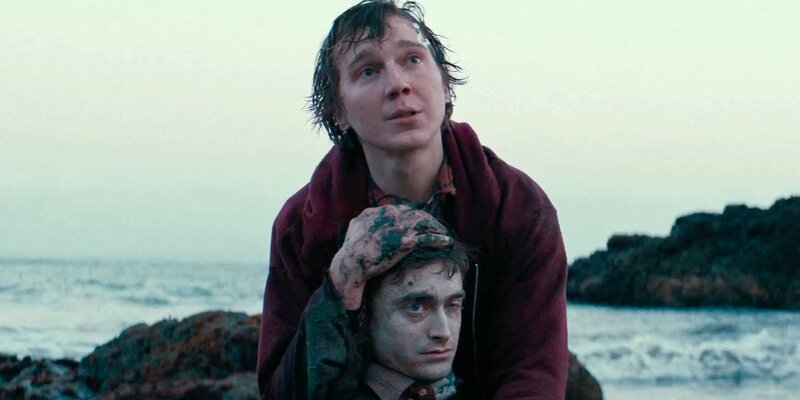 Also considering that Radcliffe plays a farting corpse the entire film, (yes that’s right, a dead body who constantly farts), he did a bloody good job with the humour, delivering it in some very interesting ways that throughout the film offers multiple new things to laugh about again and again. So in the end that’s all i really have to say here, it is an outrageously weird film that i don’t want to spoil because the experience is literally like no other. Paul Dano and Daniel Radcliffe are fantastic and hilarious, the film has a lot of silly comedic moments, delivers on some more dramatic moments and overall flows really well. It’s not your typical film that you would usually check out, but if you feel like it definitely give it a go when it releases next week.